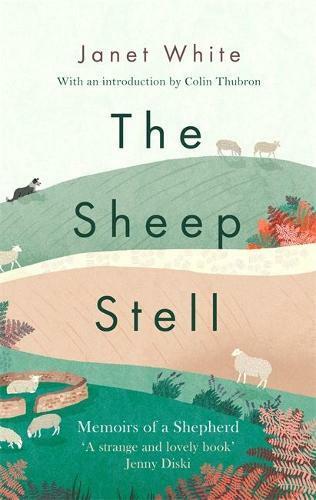 Over twenty years ago, well before the current trend for nature writing, Janet White wrote The Sheep Stell, a beautiful and evocative memoir about her life as a shepherdess. Throughout her life Janet has always tended sheep - first as a young woman in the Cheviot Hills, where she was treated with bewilderment by the other shepherds, before leaving Britain to live on an uninhabited island off the coast of New Zealand with a bonfire as her only means of communication with the mainland and only her flock of 200 sheep for company. After a brutal attack by an obsessed young man bent on her destruction, she was forced to leave her beloved island and return to England, where she married, became a smallholder in Sussex and finally bought a hill farm in Somerset where she still lives today. Her memoir tells the tale of a woman before her time, with incredible courage and determination, and wanting only peace and solitude in nature and a life with animals. Underpinning The Sheep Stell is Janet’s devotion to the land and her total commitment to combining the principles of conservation with successful farming. Janet White is a trailblazer, both in her life and work. The Sheep Stell is testament to that and homage to the nature we’re so rapidly losing touch with. It is a true celebration of the pastoral and pure escapism to a simpler life.